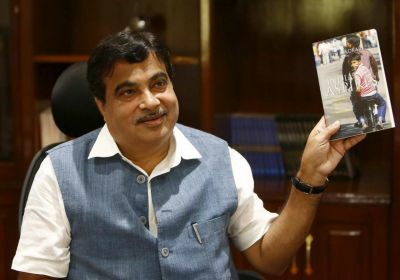 Road Transport Minister Nitin Gadkari, bottom, left, known for promoting innovative ideas in transportation, created a stir some time back when he pitched for 100 per cent electric mobility by 2030. The Central Road Fund has become CRIF and its allocation has spread to more sectors. How will you ensure that the road sector is sufficiently funded? The revenue collected will be distributed to respective sectors. In the previous National Democratic Alliance government, when I was a minister in the Maharashtra government, I had approached the Centre for building some roads. At the time, the question of funding those projects was raised and it was decided that the Centre would levy a cess on petrol and diesel, and the revenue collected would be given to the road ministry and the National Highways Authority of India (NHAI) for their projects. Later, the Railways and states were added to the list of beneficiaries and each sector was earmarked a share from the kitty. We also wanted to include inland waterways in that list and proposed amendments to the National Waterways Act. The proposal has been approved by the Lok Sabha and is pending in the Rajya Sabha. Now, a committee under the finance minister (FM) will decide the allocation from the CRIF. We hope we will continue to get funds for the projects on which work has already begun. The FM had also announced an SPV (special purpose vehicle) for NHAI’s road assets. How will this be structured? We have 105 highway contracts that can be monetised to raise Rs 125,000 crore. The funds collected via monetisation will be kept in an SPV, to be utilised for NHAI projects. Do you think electric vehicles (EVs) should be made mandatory? If the commuting cost for the public comes down, I do not need to market the idea. In India, automobile manufacturing is a big business with huge exports. We do not want petrol and diesel vehicle manufacturing to stop. At the same time, if we bring in new technology, we get sustainable transportation and exports will further increase. Environment-friendly and cost-effective indigenous production is our philosophy. How effectively have you been able to increase the pace of road construction? What is your target for the next year? We will achieve 28 km per day by March-end. We want to get to 40 km per day next year and should be able to achieve it. We want to have 200,000 km of national highways. Is land acquisition still a challenge? There are some people who convert challenges into opportunities. We have already acquired land worth Rs 68,000 crore and are paying farmers well, so there is no problem in land acquisition. A part of the Rs 71,000 crore allocated to us under budgetary support will be used to modernise transport and transportation services. We are looking at building bus ports on the lines of airports. Most major cities have bus ports. By utilising commercial land, we can develop air-conditioned bus ports with other amenities such as hotels, and parking spaces. These projects could either be built through EPC (engineering, procurement and construction) or PPP (public-private partnership) depending on their viability. How do you bring the cost of EVs down? An electric bus costs Rs 1 crore. When we first got solar energy, it cost us around Rs 16.5 a unit and now it is Rs 2.55. When volume increases, cost will come down. 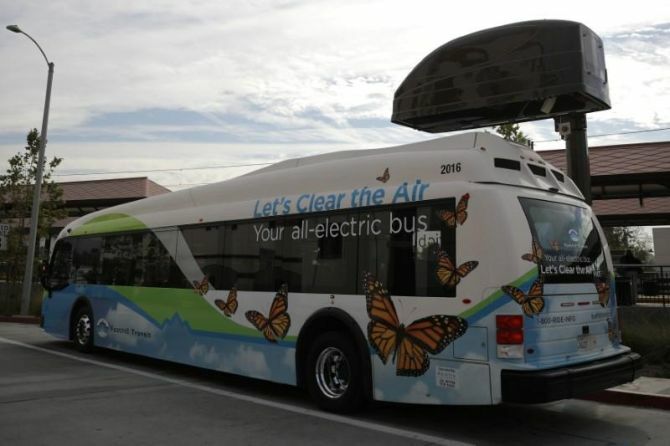 What is the status on introducing electric buses? We want electric buses, and ethanol-, bio-diesel- and methanol-driven buses. It would help address the problem of air pollution affecting major cities. It also facilitates conversion of waste into wealth. For this, we want to adopt the ‘Transport for London’ model, which is a revolutionary idea. Nine operators in London and the corporation bring out a tender on the basis of a per-kilometre charge. The conductor belongs to the corporation or the state, while the driver belongs to the operator. Both have the same dress code. Investments will be made by the operators. In Nagpur, the cost of running one bus on 100 per cent ethanol is Rs 79 per kilometre and the one running on electricity costs Rs 50 per kilometre. We can bring down the tariff through this. The idea is to provide better public transportation services to discourage people from using personal vehicles. As far as unconventional modes of transportation is concerned, the Metrino, or pod taxi project, from Dhaula Kuan in New Delhi to Manesar in Haryana, will soon take off. The tender is out and we are awaiting offers from prospective bidders. We hope companies will invest in these projects. The road ministry will provide the right of way for the project. As far as the Hyperloop is concerned, we are a big country and, therefore, public transportation through various means should be researched and adopted through technological innovation. We are also working on water transportation projects that are not just financially viable but are also environment-friendly. We should be ready with our first waterway - Varanasi to Haldia - by December. We are exploring the possibility of starting a public transport service from Allahabad to Varanasi. The stunning Mercedes-Maybach S 650 @ Rs 1.94 crore!